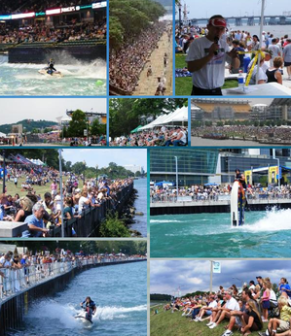 average of 8 events per summer in front of large crowds and media. the events we attend. Your brand is captured in many photos by fans. Public address announcements at these event further activate your brand. YouTube, logo on post event awards, and web site credits. away to our fans at our interactive booth with on-site signage (banners). Links to Your website from our websites and all social media outlets. with customers by providing an environment that matches their lifestyle. product made by the companies that sponsor the event.